KAMPALA – The Nakawa Grade One Magistrate Noah Ssajjabi has granted Mukono Municipality MP Betty Bakireke Nambooze bail after the legislator was on Wednesday, August 29 afternoon charged with incitement of the public under the Penal Code Act. Ms Nambooze was driven to court in an ambulance from police CID Headquarters in Kibuli where she appeared this morning to answer to the summons since her return from a hospital in India. 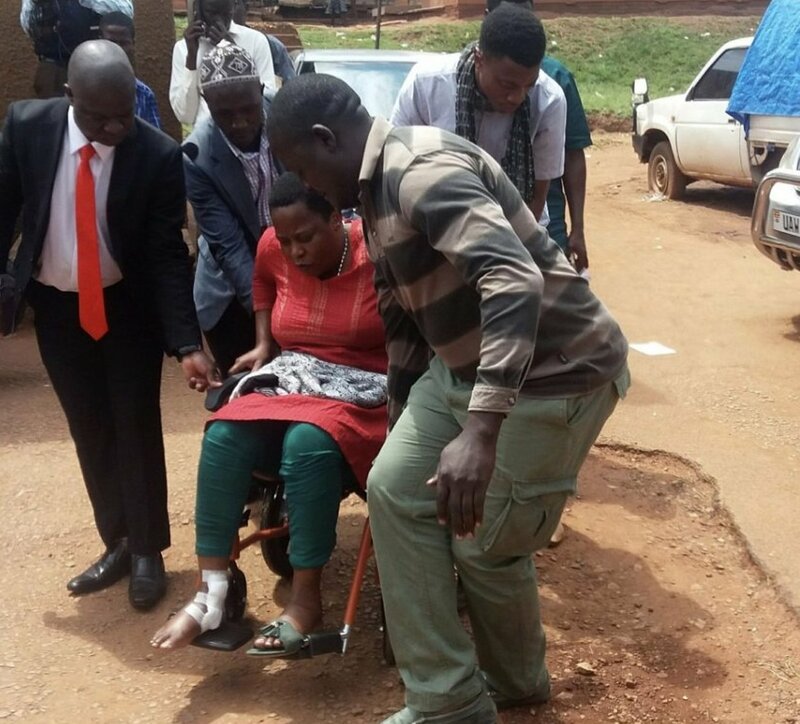 Ms Nambooze who was pushed in a wheelchair to court cried while charges were read to her. She denied the charge before Grade One Magistrate Noah Sajjabi who granted her a non-cash bail of Shs 5 million. Her sureties have executed a non – cash bond of Shs10 m to ensure that she returns to court. 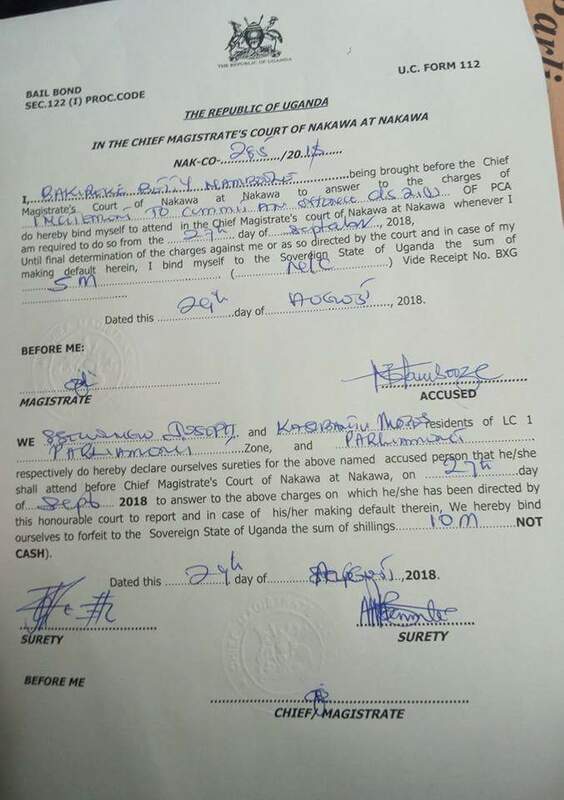 Ms Nambooze through her law Erias Lukwago asked for bail and among the grounds she stated include; the offence is bailable, she is a member of parliament with a fixed place of abode, she is a responsible woman in this country, married, with children, law-abiding citizen and she is seriously sick. She presented two sureties, MPs Joseph Ssewungu and Moses Kasibante who were each bonded at a non-cash bail of Shs 10 million. “I note that the state does not object to sureties presented, the accused is an MP and absconding from court is minimal. She is sick and needs treatment and since the case is bailable I find no reason to deny her bail,” Mr Sajjabi said before adjourning the matter to September 27. Prosecution led by Ms Deborah Itwau states that Nambooze on or about June 9, 2018, by uttering and posting in the media, incited the public to attack and murder public figures however well-guarded since the government could not secure them. Ms Nambooze was summoned to explain her words immediately the former Arua Municipality MP Ibrahim Abiriga had just been murdered by gun-wielding men a few meters away from his home at Mattuga. She has been ordered to report back to the Nakawa Chief Magistrate’s Court on September 29th after being given bail.